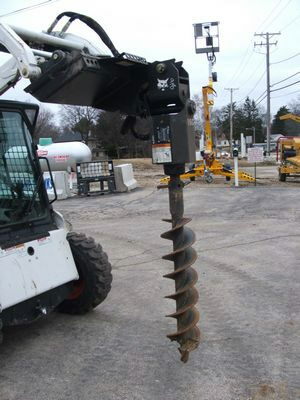 Post Hole auger attachment for Dingos,Mini Bobcats or MT Track loaders. May fit other brands with compatible mounting plates. Augers & Extensions are rented separately. * Please call us for any questions on our bobcat/dingo auger head atach for mt rentals in Portland OR, Gresham OR, Milwaukee OR, and surrounding metro area.